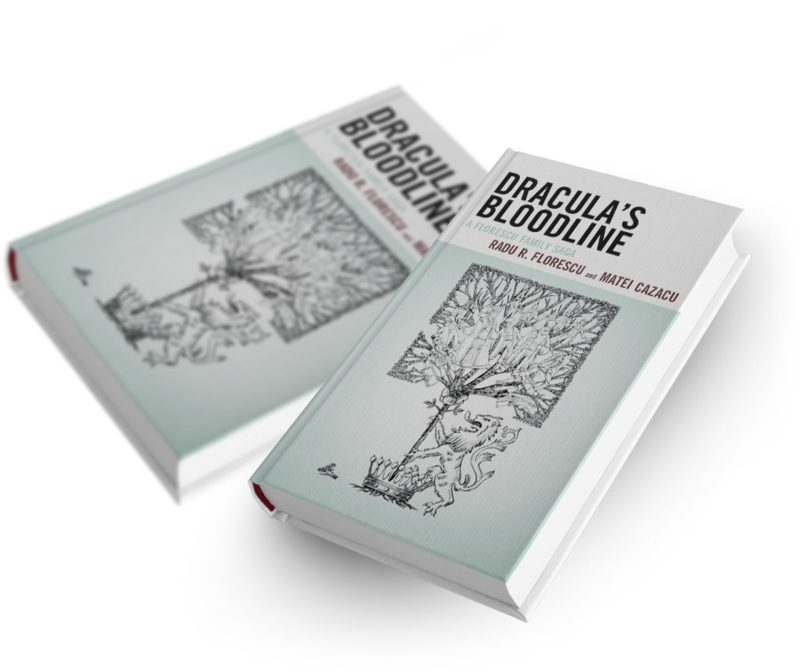 Dracula’s Bloodline represents the authors’ attempt to accurately narrate centuries of a unique family history in one, single book. Drawn from Dracula’s mystic universe, the process of writing the book met all kinds of misfortune and difficulties, starting at its first drafting in 2009 and ending three years later in various misadventures. Dogged by Dracula’s cursed and mysterious hand, Professor Florescu suffered the unfortunate occurrence of the outright disappearance of the typed manuscript (only one version) somewhere between Boston and the French Riviera. Alas, the authors never found it, so the book had to be rewritten a second time. Thanks to Matei Cazacu, an esteemed medievalist from the Sorbonne in Paris, and an editor/author from Washington DC, the enterprise began anew high up in the Transylvanian Alps, just five miles up from where many of the Florescu archives lay in Brasov. The result is a fascinating Florescu saga - one you can discover below. Every person can find within him or herself a voice, beckoning them to their ancestral roots. Having known where and how a family is started, one can draw life and new meaning helping to shape a path toward the future. You will now experience a reputable historian’s endeavor to write the history of his family roots whilst reaching for his country’s historic essence. 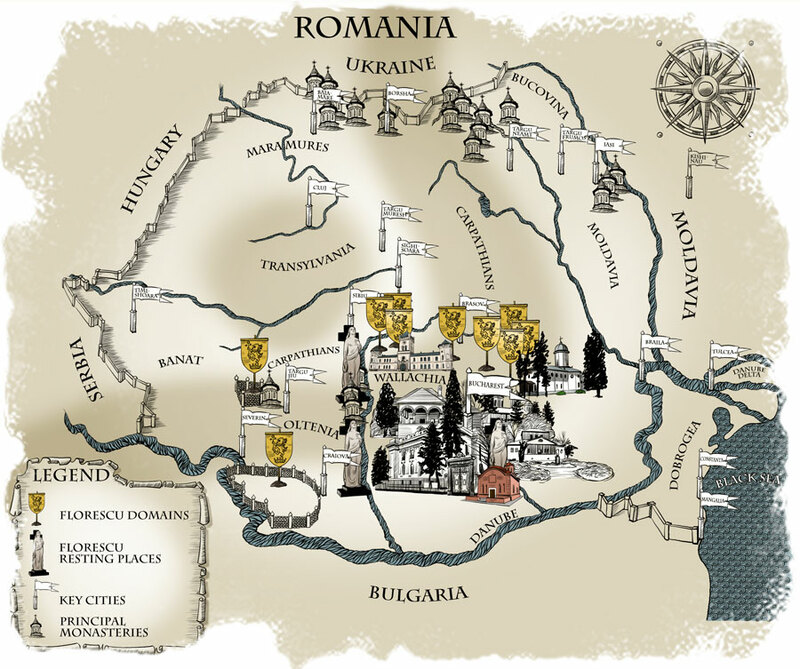 This is the Romanian saga of Florescu genealogy, a story that both precedes and includes the real life Vlad the Impaler, known to the world as Dracula. The Florescu name was born in a time and in a place when the written word was rarely used. But it is one that can be traced back centuries, even before Dracula existed or Christopher Columbus sailed. Nevertheless, the process of digging starts with a distant past, and it is a story that never ends. Ahead of his story, Radu R. Florescu came to discover, in over decades of sharing his wisdom, the historical significance of his family, a story marked by the undying seal of Vlad the Impaler. Despite all difficulties, the Florescu name reached out and stood its ground throughout centuries of wars, political conflicts, betrayals of blood and, in the end, family survival. This is why the Florescu saga is the story of an undying family, a name that stood tall against all odds. Throughout more than six centuries, the Florescu family has survived the trials and tribulations of a little known and understood corner of Europe. Despite all misfortunes, the Florescu name has stood tall and to this day continues to write its own story in a new age far removed from the first burial grounds of the first medieval tombs. Immortalized by a flower, the Florescu heraldry became the symbol of an immortal family, led by religious beliefs, national pride, a sense of service and a deep respect for Romania’s own national heritage. Monastery of Tismana founded on the domain of Florea by Radu the Ist, prince of Wallachia, and his wife Ana, a relative (sister) of Florea. The great domain of Florea was confiscated after 1397 by Mircea the Old as a punishment for Florea's actions in favor of Vlad The First, a prince allied with the Turks. Vâlcsan (died after 1445) son of Florea and afterwards Vintila Florescu (died 1491), his son, obtain the restitution of their domains and of Floresti (dept. Dâmbovita, today Ilfov). It became the siege/residence of the family. Vintila purchases at Poiana Lunga near Floresti. Draghici Florescu, son of Vintila (died about 1537) built the monastery of Strâmbu in the village of Gaiseni, near Floresti and offers three villages in the neighborhood : Oncesti, Gaiseni and Vatasesti. His wife, Stanca (died 1544), offers two other villages, Urluesti and Bunesti (dept. Arges). In 1592, Radu Florescu and his mother offer Cioroboreni to the monastery of Cerna in Transylvania. 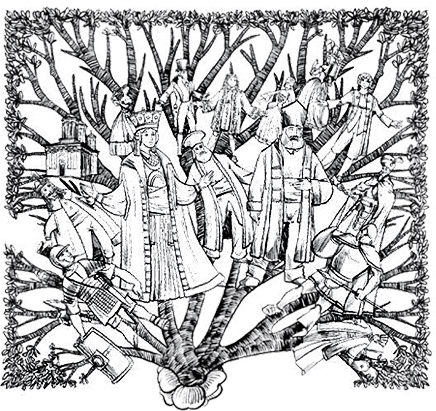 Maria Florescu offers Oravita and Balbosani to the metropolitan of Wallachia in 1605, Cujmir and Prestolul to Cozia, and sells or offers to relatives other villages : the cause being the untimely death of her son, Radu Florescu, in 1605 without children. 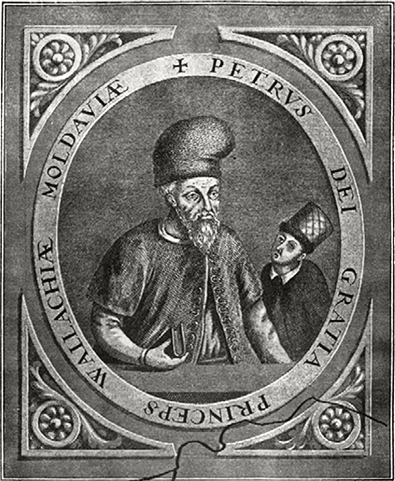 Antonache Caliarh Florescu (died 1748), studied medecine at Padova University (Italy) and became one of the most important collaborators of Phanariot Prince Constantin Mavrocordat (reigned ten times between 1730 and 1769), a great reformer in all domains of the Wallachian society, best known for the abolition of serfdom both in Wallachia and in Moldavia. Iordache Florescu founded the second necropolis (burial place) of the Florescu family at Tiganesti Monastery. Dumitru Florescu, a gifted musician, was a founder of the Bucharest Conservatory of Music. Costache Florescu, his brother, took an active part in the revolution of 1848. He was banished to Siberia -only to return home by foot, suffering serious wounds and losing his fingers. Ion Florescu became Chief Commander of the Romanian army under Prince Cuza (1859-1866) and served twice as Prime Minister. George Florescu was one of the leading Romanian genealogists, vice-director of the Municipal Museum of Bucharest and the "historiographer of the town of Bucharest" as he liked to call himself. There were, in fact, two members of the Florescu family who became generals in the Romanian army - the first one was General Ion Florescu who was also Prime Minister in the 1860s. 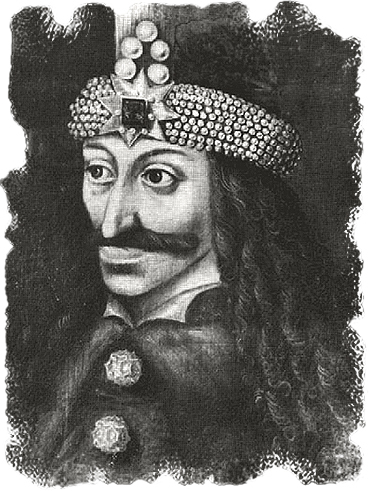 Among many obvious reasons, one would believe that Radu R. Florescu’s background as a historian - and several grants such as the Fulbright Foundation and the American Philosophical Society - would have led him (and his late colleague Raymond T. McNally) to discover the real person, a Romanian prince called Vlad Tepes.. However, another inspiration came from Radu Florescu’s uncle, George D. Florescu, a flamboyant character like many of the Florescus who walked the streets of Bucharest in 19th century clothing and knew the history of every family in Romania. 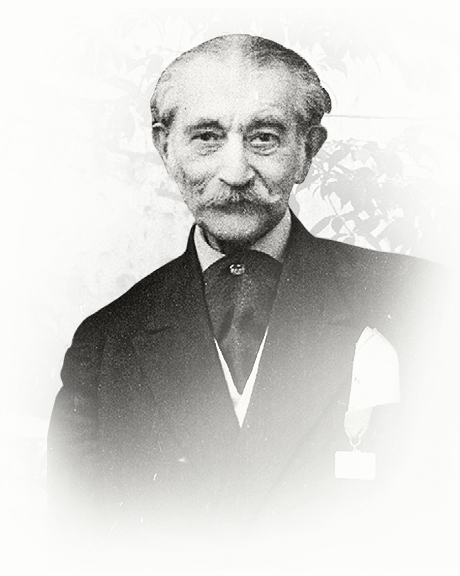 Spiritually adopting Radu as his son, George Florescu instilled the passion for the Florescu genealogy – a love of labor that blessed his nephew and inspired Matei Cazacu, one of Uncle George’s students. George Florescu helped the authors with their work on Vlad the Impaler by taking Radu Florescu on a historical tour of the Florescu family. With Uncle George at his side, Radu visited archives, castles, monasteries, private collections, galleries and libraries throughout all the regions of Romania and beyond. So this is how the story behind the story began. 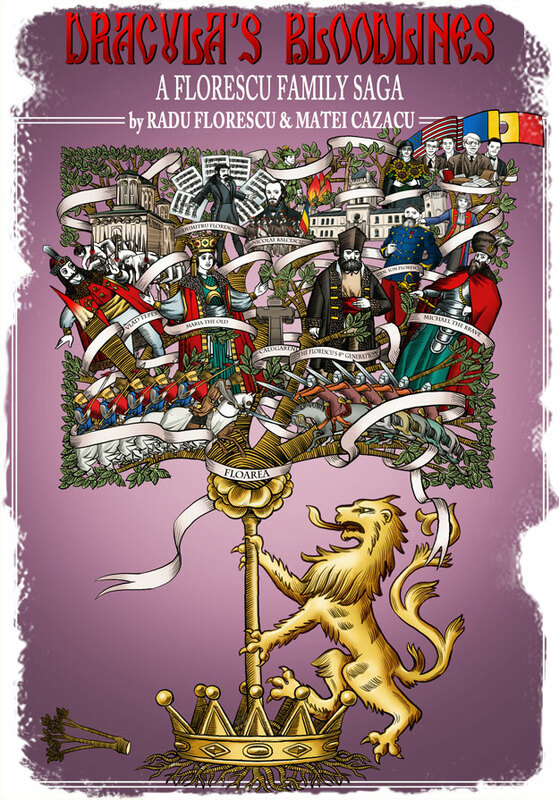 During the sixteenth, seventeenth and eighteenth centuries, the Florescu name flowed like its own fast running stream through the events and among the iconic personalities of Wallachia, Transylvania and Moldavia. Dramatic events drew the family into a whole universe of battles, fraternal jealousies and geo-political conflicts. At every turn, the flower of the Florescu was there: at Dracula’s Castle in Targoviste; alongside the battling Michael the Brave at the famous Battle of Calugareni; in the many council chambers with the Prince of Wallachia, Contantin Brancoveanu and his sons, Constantin, Matei and Radu. And last, but not least, the Florescus and the enduring symbol of the flower, survived and prospered through another four generations from eighteenth to nineteenth century under Greek rule and into the twenty-first century. The Florescu family rose through entangled intermarriages of the Florea family (the Florescu family’s original ancestor) with the official princely families of the lands now known as Romania. Having to deal with a near total absence of written word, the story’s beginning is similar to a bildungsroman exhibition. The reader is taken in a historical trip and meets the early family members, born and buried in the area of Severin (the native soil of the original Florescus). Here, the reader meets Vlad Tepes, Prince of Wallachia, also known as Dracula, and acknowledges how Vlad the Impaler interacted with the Florescu family. To be sure, the 15th and 16th centuries passed leaving profound wounds on the family roots. The Florescu name survived mostly due to the Florescu women – two “Marias” in fact, one who lived to more than 100 years in the 16th century! Having said that, where does the Florescu saga begin? How did the authors discover the linkage between Vlad the Impaler and the Florescus? Although there is no knowledge of where precisely the Florescus came from, Radu Florescu’s adventure started with findings at the Brasov Archives - where the name of Florea was rediscovered. The link to Vlad Tepes was found in the genealogical notes of Uncle George, Romania’s foremost genealogist. Indeed, Dr. Cazacu presumes that Vlad Tepes may have had Florescu blood in him: Tepes’ great-grandfather, Radu the 1st, , was married to a Princess Ana (later known as a Nun Calinichia) who was born in the Florea clan. Within over 100,000 rare old documents, there is an ancient coat of arms depicting a man with a helmet, holding a flower – a Romanian statement of totemic legacy from Transylvania ("the land beyond the forest"). 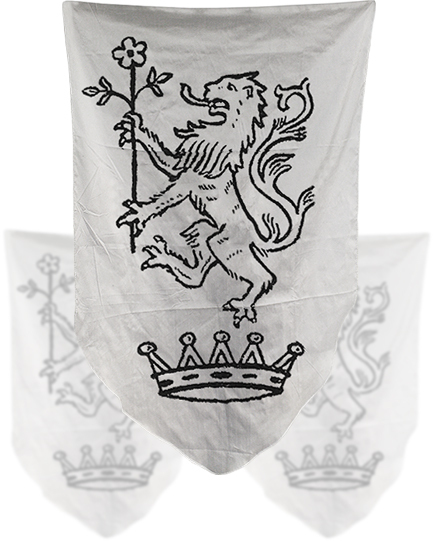 More than six centuries old, the coat of arms is that of a family called Florea, a Christian name which stands for flower (floare). These facts - along with other findings in the book - establish the link between the Florescu family and Dracula’s bloodline and their descendants. The seal of the flower has become the family insignia – a graphic mantel that conveys an undying family for centuries past, and hopefully for centuries to come.